25 Ways to Market Your VO Business It's been said several times, but I’ll say it again: the voiceover business is 5% about your voice and 95% about how you market that voice. The way to truly be successful in voiceover is to be able to market yourself effectively and consistently. You can have a fantastic voice with years of professional training under your belt, but if clients don’t know you exist, you’re dead in the water. The only way to gain new clients and get more work is to make sure your voice bounces off the eardrums of the right people at the right time. This is the heart of marketing: It's the art of convincing others that you are the perfect person for their particular needs. 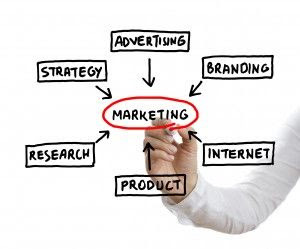 Below is a collection of suggestions on how to successfully market yourself. Some of these are pretty basic, but some may be things you haven’t considered. I’m not suggesting that you employ all of these, but these will definitely help you develop a strategy that will get you noticed and bring you more work. Get a professional website. - There’s a lot you can do by yourself, but if you’re a complete neophyte when it comes to HTML, there are plenty of ways to get a decent site together on the cheap. Ask friends. Ask peers what, or who they used. Whatever you do, don’t just rely on a free listing on one of the P2P marketplaces. If you do, you are sending your potential clients to a place where 100,000 of your competitors are just one mouse click away. You want to be the client’s ONLY choice. Add a blog to your current website. Talk about what you know. Offer advice to people just getting started in the VO business. Offer anecdotes on mistakes you’ve made and things you’ve done right. This helps to make you look like you not only know what you’re doing (a subtle way to reassure a new client) but it gets you more well known among your peers in the business. But don’t blog for the sake of blogging. Have something to say or don’t say anything. Get a professional photo taken. You want to always convey the impression that you are a hard working professional. Using that picture of you 3-sheets-to-the-wind at last year’s St. Patricks Day party is NOT professional. Join your local chamber of commerce or local business meetup groups. (meetup.com) They’re a great way to network with your local community. Plus you will probably have the most interesting job in the room. And when all those insurance and real estate agents need a local radio commercial done for their business, if you’ve done your job right, they’ll know who to contact. Create unique business cards and hand them out whenever you can. Make sure all your friends, family and people you meet know EXACTLY what it is you do. Your primary objective is run out of business cards to hand out. Your secondary objective is to NEVER run out of business cards! Prepare a clear answer to the question “What do you do?” - When I say I’m a voice artist, most people have no idea what it really involves. Educate them. You don't need to give them a history of the recorded voice. just a brief sentence or two about your industry and what you do is fine. Get a professional email address. "you@YourBusiness.com" says that you are serious about what you do. "You@gmail.com" says you created this email account yesterday. Use this professional email address when emailing absolutely anyone. Also be sure to have the signature block of your outgoing email set up with all your contact information and website. It's free advertising and could help convince potential clients to hire you. Comment on blog posts and Linkedin discussions in your field. Make sure your commentary adds value to the post. You want to be seen as a professional. Not a whiner. Pitch story ideas to local newspaper and magazine reporters. - How many times have you read an article about a voice over artist in your local paper? I’ll bet not many. This helps build your credibility and is more free advertising. You should also offer yourself as a resource to local reporters looking for expert opinions. Write guest articles for other people's’ blogs or newsletters. - I’ve done this a couple of times and it's nice to see your words in something that isn't just your own blog. Give away a free report or eBook - (BTW, I have a great eBook for people just getting started in the VO business. Click here to learn more.) Join a professional organization - World Voices, for example, is a great one. They help you build more credibility and tell potential clients that you are not a college kid looking for beer money. You are a professional and take what you do seriously. Send out holiday cards with your business information on them. Do you live in LA or NY? Get smart looking postcards printed up and stick them inside Variety or AdWeek. Some may see this as a bit morally questionable. I see it as being passionate about finding new clients. Attend industry conventions and seminars. (Faffcon, VOAtlanta, WOVOcon, etc.) Attend industry conventions and seminars that your target market attends. Is there an advertising or radio convention nearby? Check it out. That’s a target-rich environment! Host a free webinar and give out solid, practical advice. Google hangouts is super easy (and free) for this sort of thing. Put together a presentation (know in advance what you’re going to say) and then spread the word that you’re hosting a way for new and aspiring voice talent to learn more about the art of VO for free. Remind clients of important dates. Does your client do radio commercials? Remind them that Halloween is just around the corner (followed by Christmas, or 4th of July, or whatever) Forward articles of potential interest to your clients. - this is a great way to keep yourself “top of mind” with a client without coming across as “spammy.” Make sure that the article you’re sending out is worthwhile information, and not something they may have already seen. Start your own local group for voice artists - networking with your peers is a good way to establish yourself in the industry. Plus a group of voice artists can share ideas and suggestions for improving marketing and business plans, discuss ways to improve voiceover skills and help each other to grow their businesses. By the way, if you are a voice artist in the Austin Texas area, hit me up! Cold Calling - Oh yeah! Who doesn't love getting on the phone and trying to convince complete strangers that they should hire you? WooHoo! PAR-TAY! OK, I know this is everyone’s favorite thing to dread, but it honestly works. Do a search for video and audio production companies that specialize in commercial production, medical narration or whatever niche of VO you are specializing in. Do a little research on each company to find the phone number and learn something about the company you’re going to call. Then call them up and ask to speak to the person in charge of hiring voice talent. Sometimes this person is known as the creative director, or casting director. Introduce yourself. Tell them that you’re a voice artist and ask if they’re accepting new voices for upcoming projects. If they are, ask to send them either a link to your website (where your demos are listed prominently) or your demo directly. Chances are that if this is a production company that uses voice talent, they will be more than happy to hear a fresh voice. If they say yes, send the info and follow up with an email a few days later with more info. It's a slow process to gain new clients this way, but remember: this is a numbers game. Participate in online chats and forums related to your subject area. Cross promote your business with someone who offers services that complement your own. (audio recording, music production, etc) Spell Check - nothing screams “amateur” like someone that doesn’t know the difference between “to” and “too." Take the time to read over everything with a critical eye before you hit send. There's a lot to this list, but every one of these tips has been tried, tested and proven to work.